Bethseda Softworks, the creators of the Elder Scrolls game series, have already announced their newest game the Elder Scrolls V: Skyrim. The game has some pretty cool looking features that they have added on to it, but there is one major feature that seems to be missing: Where is the multiplayer? Have you ever wanted to show your awesome spells or equipment off to your friends, only to realize that you are the only human player in the entire game? What if you could play the Elder Scroll games online and travel across the entire planet of Nirn? 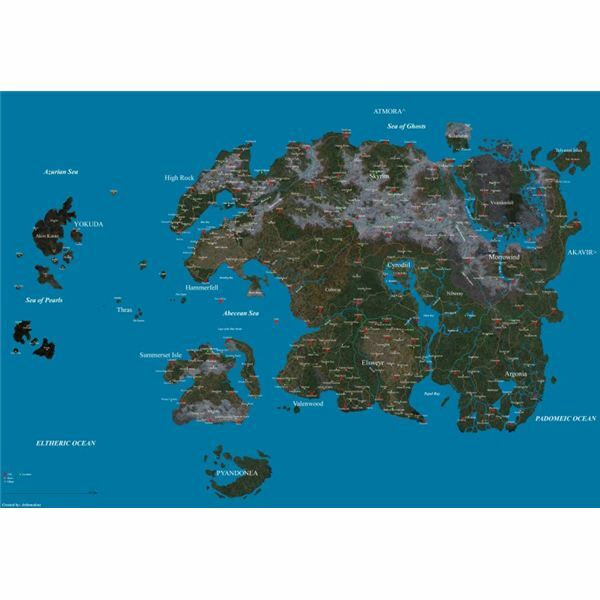 Go to the Far East and visit Morrowind, or travel up north to Skyrim, and then make your way all the way to the far west reaches of Hammerfell? Let’s explore this idea by taking a look at what an Elder scrolls MMO would be like in this edition of the Most Wanted MMOs. The story for the Elder Scrolls Online would take place in an alternate timeline so that it doesn’t conflict with all future or past story lines. Mabinogi Online and Vindictus, which both take place in the same world but don’t directly connect with each other, are excellent examples. The story could be a world war, realm vs realm style MMO. You will start the game by picking one of the base races and then further customizing your character to one of the smaller variations, for example, a human Redguard. The game will be a persistent world with all the players constantly fighting one another to conquer the other nations. That way the game will never come to an end, and you can always play for hours without getting bored. The Elder Scrolls Online will have all the features from the previous games, but we will use the two newest games Oblivion and Skyrim as the base for unique features. This article is going to break it all down for you and look at all the key features in closer detail. 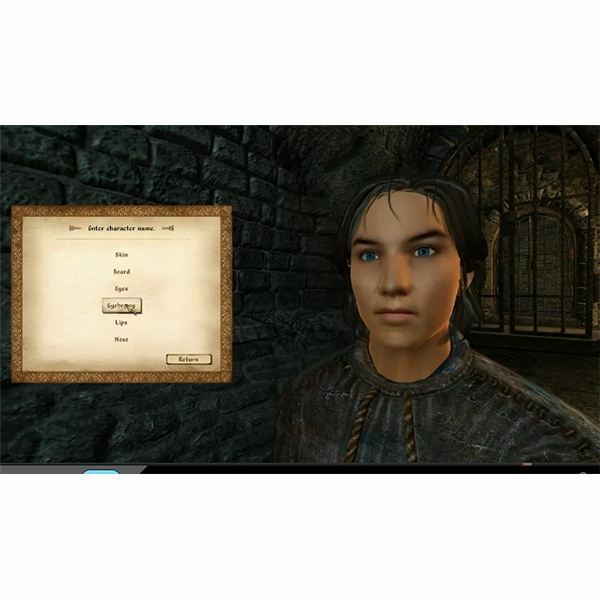 Because the Elder Scrolls: Skyrim has not come out yet, we will use the previous game Oblivion as a base for our character creation system. When you start the game you will choose your race (as named above) from humans, high elves, dark elves and orcs, to khajits, ogres and wood elves. There are more races in the elder scrolls but listing them all will take all day, so I think you get the idea. From there you will choose facial features such as eye color, hair color, hair style, skin color, and age (how old you look). 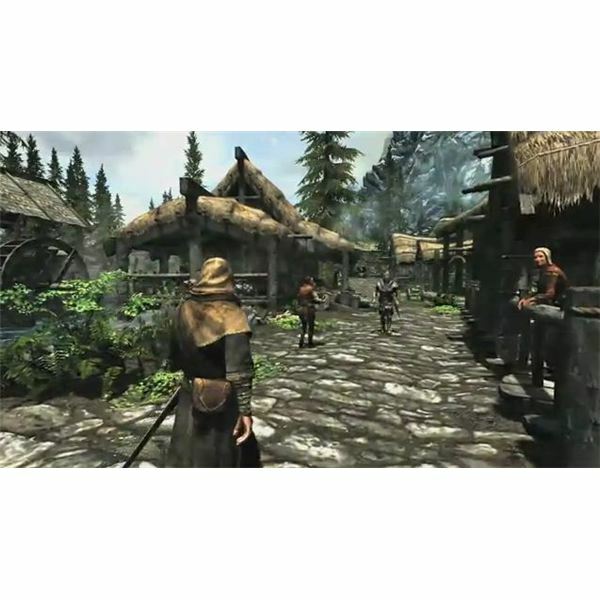 The game will use the same slider bar features as Oblivion so that you can customize your character to look exactly the way you want them to look, just with upgraded graphics and a bit more detail. You will then choose your birth sign for what your special stat bonus will be. This will add a bit of variation between players so that you all don’t start out exactly the same. With some birth signs they add special skills, for example the birth sign “The Ritual” gives you the restore health spell to heal yourself, while it also gives you the turn undead skill to deal out damage to undead monsters. In Skyrim they have now removed classes altogether, but in an MMO you should still be able to choose your stats for starting out. So instead of picking a class, you will pick base stats, such as: Strength, Endurance, Intelligence, Willpower, Agility, Speed, Personality, and Luck. These stats will serve as an outline for where you want to take your character later down the road. Once you start the game and start adventuring out into the world though, you will earn stats just by using your skills. 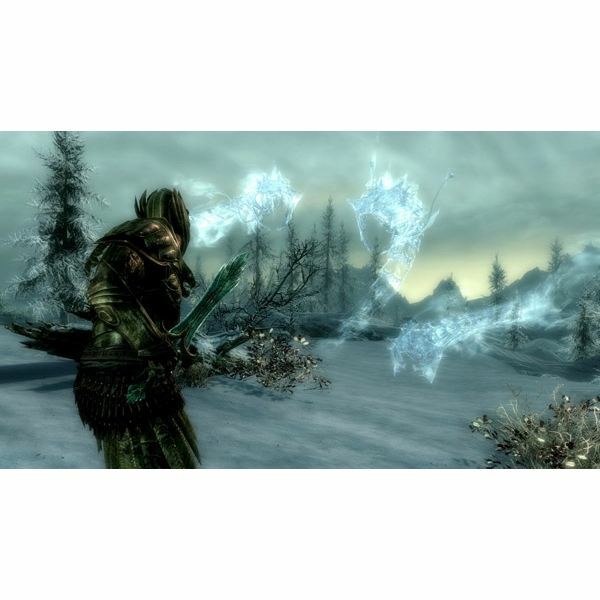 Using more melee attacks will give you strength, and using more magic attacks will increase your magicka, etc. You will be able to earn new skills by buying them from NPCs to become more powerful. Leveling up will no longer require you to sleep, you will gain level ups and choose your stats just by obtaining enough experience points. 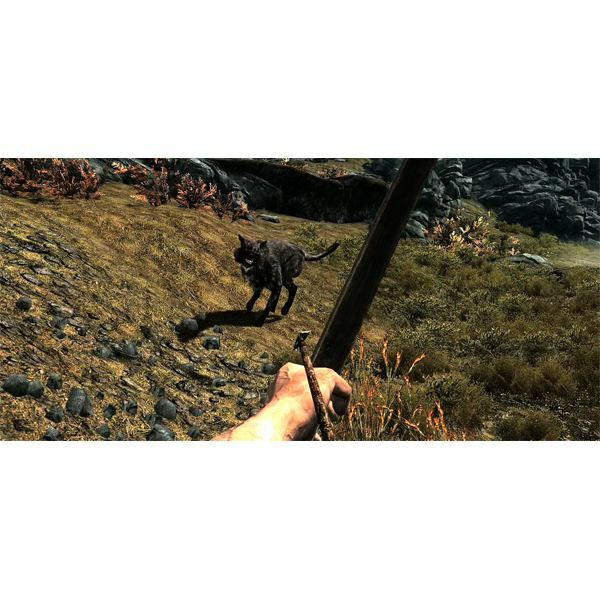 The combat will still allow players to go first person for a more realistic view of combat, or to zoom out for third person melee. Dual wielding weapons will be a major part of the game. Equipping a shield will give you a better chance of successfully blocking attacks, but dual wielding weapons and magic will deal out more damage. 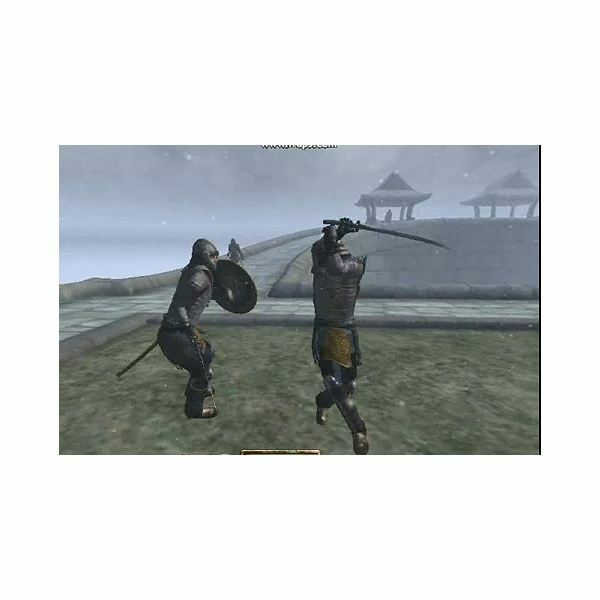 The game could use Morrowind's fighting system of moving horizontally to make your character attack in a horizontal slash, moving forward will make them do a thrust forward, and standing still will do a basic head chop strike. You will have the ability to block manually with shields instead of it being automatic and random. There will be no “hit-miss” roll dice, all attacks will always hit if they come in contact with you or your enemy; however your armor and skill rating will determine how much damage you receive just like Mortal Online. 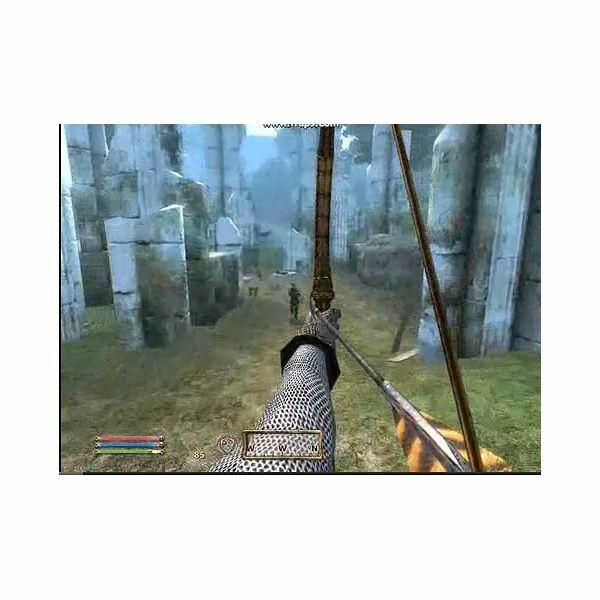 Throwing daggers, ninja stars, and darts will make a return as ranged weapons, so that the bow will no longer be the only ranged weapon available. The longer you hold down your attack button the more powerful your attacks will be. As an alternative, tapping the button will do faster attacks, but will do less damage. Your acrobatic skill level will determine how well you dodge or evade attacks. Fatigue will affect how much damage you do and will also determine how effective spells are; this will help to even things out so that mages can’t keep running around and constantly firing off devastating attacks non-stop at long range. Archer’s arrows may be picked back up after being fired off, even if it hits a corpse, but the arrow will lose durability and eventually break. All weapons will have a durability limit; heavy weapons will have the highest durability rating, such as two handed swords and pole weapons, but will also be more expensive. Light weapons will include long swords, daggers, and throwing weapons. Light weapons will be cheaper to buy, but will also break a lot faster. 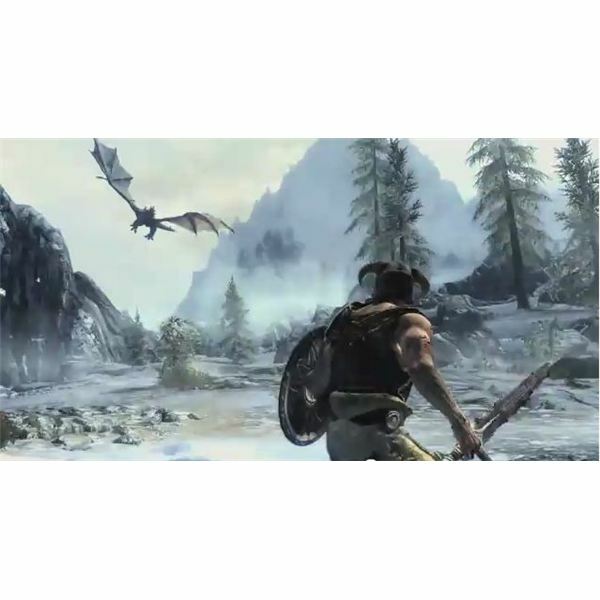 The MMO version of the Elder scrolls could also use the new dragon language spells from the newest game the Elder scrolls V: Skyrim. These spells will deal out devastating amounts of damage to your enemies. The dragon spells will be unlocked by killing dragons and absorbing their souls. Players will be able to create their own spells to create unique magical effects and enchantments to upgrade equipment to become more powerful. Player’s will fight each other the same way they fight monsters, using all the same rules and abilities to over power their opponent. To make sure low level players don’t use spells beyond their current power level, powerful spells will require large amounts of MP (magicka points). So even if you create a powerful spell you won’t be able to use it until you get higher in level and earn the proper amount of magicka. To make sure that the high level players don’t spawn camp new players that just start the game, the beginner starting towns will have PvP restrictions and NPC guards patrolling the area to keep the game fair. As you progress through the game the PvP restricted towns will vanish, allowing players to fight over the city to control, and eventually defend them. Players will be able to create guilds and ally with other guilds to help create armies to raid dungeons or rival cities. Owning cities will give guilds certain benefits, for one you will be closer to certain important locations, like dungeons for gaining better equipment. You will also be able to choose to tax the city that is under your control to charge other players money to add on to your own guild bank, and guild members will get a store discount when buying items. This system will create a fluctuating economy between different guild owned cities, which will motivate other guilds to liberate cities to try and get the same benefits. This will be similar to the system in Voyage Century Online, Mortal Online and even Dark Eden. In Morrowind the only way to travel was to either run or use a spell to jump really high to “Fly” to your next destination. In Oblivion, Bethseda introduced horses as mounts to travel. Stealing a horse will ruin the MMO feel of having to earn your way to power, so mounts will have to be either earned from a special quest, or bought from an NPC. Dragons should also be mounts, new MMO games have flying mounts, so the Elder Srolls will have to step it up and allow mounted air travel so that you can fly. Who wants a tamed Cliff racer? Of course, there will also be spells to increase your running speed or your jumping distance. Life in Nirn will allow you to craft your own weapons, armor, food, potions, and spells. You will be able sell all crafted items in an open market for other players to buy and create your own player made economy (but any thing you buy will be taxed by the guild that owns the city). You will be able to marry other players and buy houses to farm or run your own business. The NPCs will behave and make choices on their own and you will be able to interact with them in a detailed and in-depth level, ranging from having conversations, to accepting missions, to being attacked by enemies, or having them help you run your own store. The monsters and NPCs will travel and interact with each other in a persistent world. Dragons will attack traveling NPCs, and soldiers will attempt to run up to defend them. All the while, other players may choose to help or attack any NPC or player that they come in contact with. And all players in game will be able to form parties and work together to hunt monsters or raid hundreds of different dungeons. This may sound complicated, but this would pretty much be an advance version of Mortal online, except it won't have half as many bugs, glitches or game-inhibiting technical difficulties that plague Star Vault's game. The only feature that would be added in-game that Mortal Online actually lacks would be the guild war system, just to give players a reason to keep playing. Be sure to check out more previews and reviews of recent and upcoming MMOs right here at Bright Hub. And feel free to drop a comment or two about what you would like to see in an Elder scrolls MMO. None of the original information contained within this article is wholly or partially representative for a licensed or official Elder Scrolls MMO from Bethesda Softworks.